Each film production begins with the Concept Artist reading the script to determine the initial visual style. Once this is done, meetings with the director and cinematographer take place to solidify the design and the look. To make this happen, concepts, illustrations and mock-ups are researched, produced, and sent to the director and producer for approvals. These concepts and mock-up designs cover digital illustration, 3D and matte design. 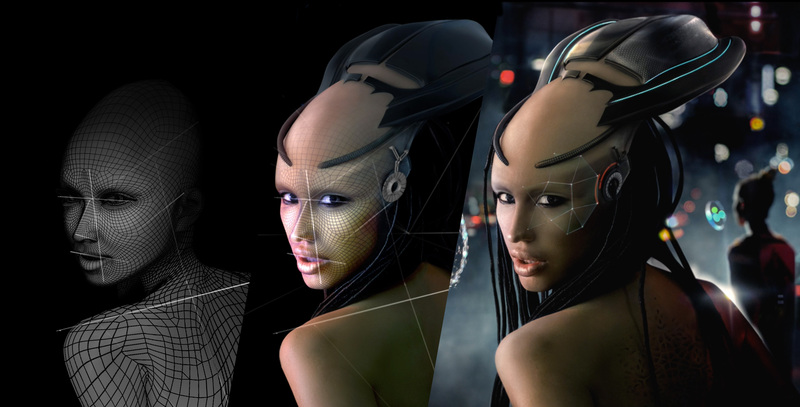 In this case, I created some different concepts, I studied the “Look”, the character concept, the possibility of technology to use in the Sci-Fi sequences in the movie.